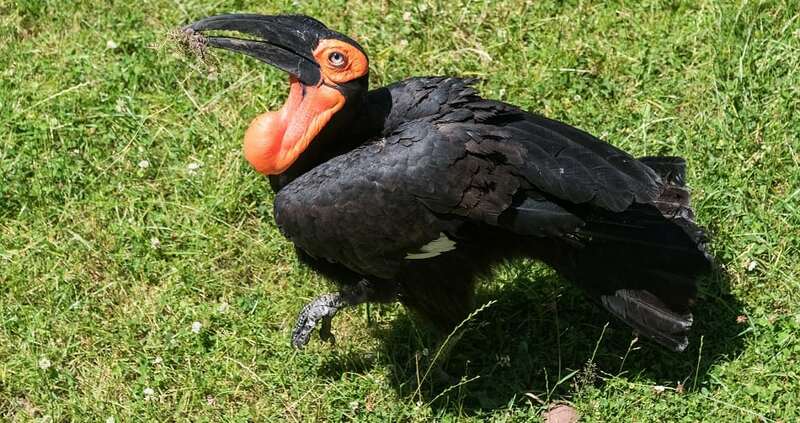 Hornbills are found in tropical and subtropical Africa, Asia and Melanesia. They are characterized by a long, down-curved bill. These unusual birds are very distinctive both in appearance and behavior with the females actually sealed in a hollow tree while they are nesting and are fed by their male partners.